Every project has a purpose to be achieved, and the successful execution of a project can depend on the careful evaluation of its size, complexity, quality, productivity, completion time and cost. 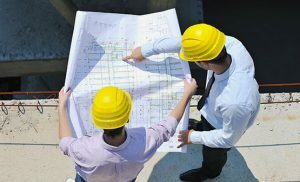 The planning, controlling and implementation of these aspects of a project can reflect the final outcome, and it is here that a consulting engineer’s experience and expertise can make an important and lasting contribution. 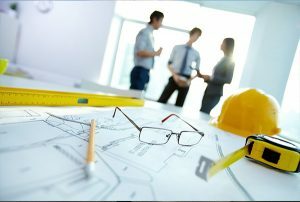 As part of our Engineering, Procurement and Construction Management spectrum, Stratum Logics provides Project Engineering Supervision and Supervision of Construction services to EPC Contractors, managing quality control and ensuring strict adherence to project design and construction specifications. Throughout the construction process, our consulting engineers will report on the progress of the project and conduct quality assurance inspections on behalf of the EPC Contractor. Stratum’s project engineering supervision and supervision of construction can help achieve greater project success by employing innovative technology and providing solutions that are creative and at the same time environmentally sound. Stratum provides construction supervision and quality control work for every phase of civil engineering projects, assisting EPC contractor firms in attaining successful project outcomes. Stratum offers EPC contractors the support of an in-house geotechnical laboratory, survey team and quality control personnel. The Stratum team can arrange for the procurement of services from additional contractors as well as assist in the review and awarding of contracts.